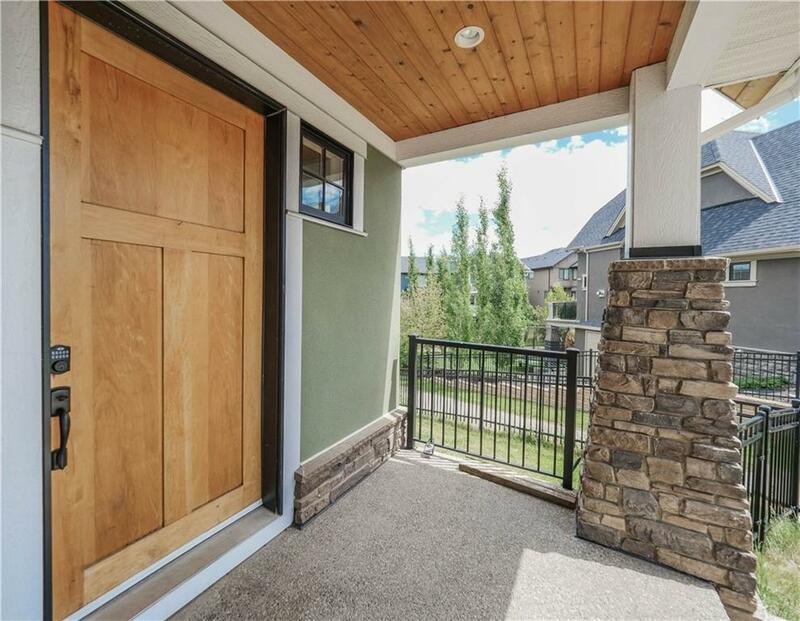 Located in the ESTATE area of Coopers crossing this beautiful executive WALKOUT home, designed by Tom Chute is ready for you and your family. 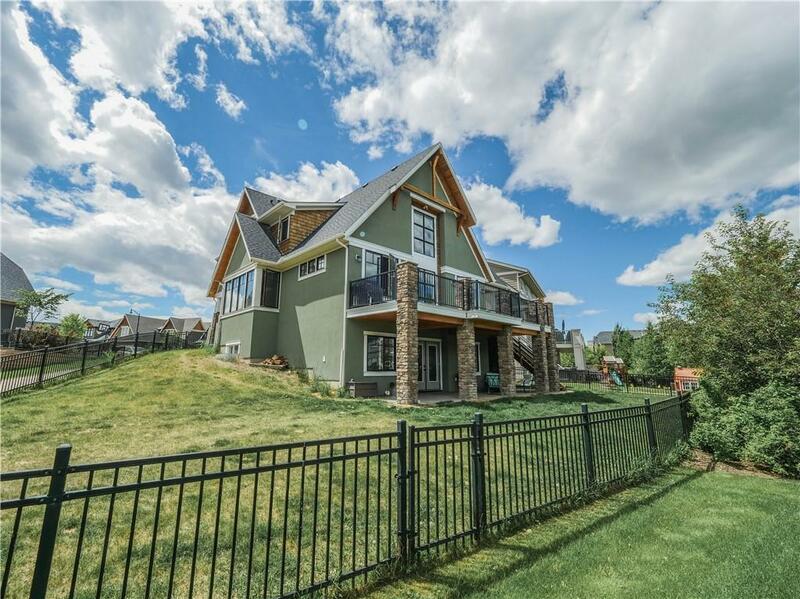 Features Tandem Triple Garage (Double Front with one long double bay on one side), 23' across the middle & 35' in depth on the tandem side, ideal for the family who enjoys toys and room to build. 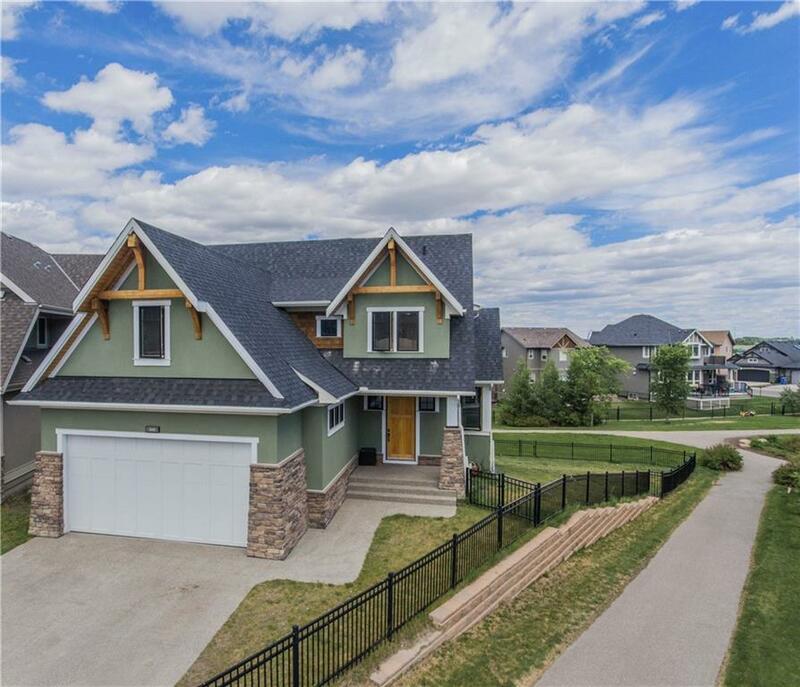 As you enter, everything is spacious, large entrance, spacious back entrance, large dining room, and living room and kitchen separated 21' Montana Rock two-sided gas fireplace with Soaring Vaulted Ceiling! The kitchen is truly a Chefs delight with upgraded appliances, dream gas stove, walk-in pantry and lovely granite countertop. ! 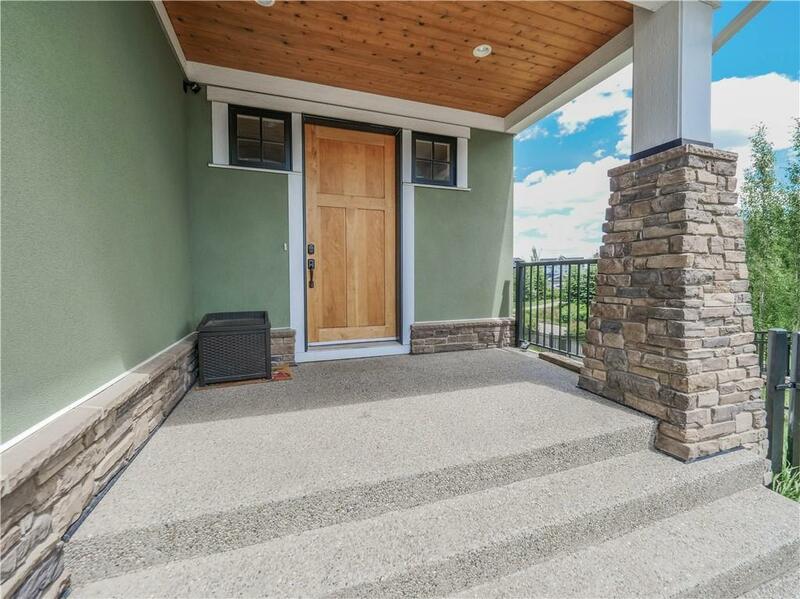 Enjoy the main level deck (32x11) with stairs to the backyard. Upstairs has an office den space, laundry room with sink, good sized bedrooms and HUGE MASTER BEDROOM with unique bonus sitting area for private times. AND 5-piece ensuite with his/her vanity, slate oversized shower with all types of showerheads plus walk-in closet.